Now that Winter is almost here I’ve started craving warm and hearty foods like soups, casseroles and bakes. 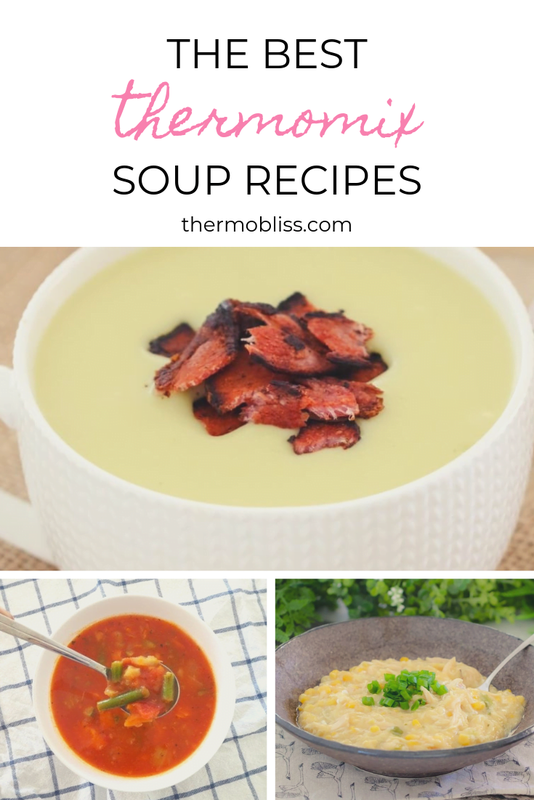 I’m pretty sure that I’m not the only one who feels this way, so I decided to put together a collection of yummy Thermomix soup recipes that your entire family will love! This is hands-down the easiest Thermomix Thai Pumpkin Soup you will ever make. Made with just 4 ingredients? all you do is pop everything into the Thermomix, leave it all to cook and then puree until smooth. That. Is. It!!!! Our classic Thermomix Chicken, Noodle & Corn Soup is a midweek winner! This winter soup is sure to be a hit with the whole family! Vegetable Soup is always popular in our house and you should really try this yummy Vegetable Soup recipe! When I think about classic winter recipes, Chicken Noodle Soup is one of the first recipes which comes to my mind. This Thermomix Spicy Tomato and Vegetable Soup takes less than 20 minutes to make and is a great way to use up leftover veggies. If you?re looking for a good old fashioned pumpkin soup, here you are! Our Thermomix Pumpkin Soup recipe is super easy, healthy and the perfect comfort food.